In 1902 Lev Bronstein, aka Leon Trotsky, was in exile in Siberia, with his wife Alexandra and two young daughters. Upon learning of a bit of mild revolutionary intellectual activity in Europe (a new radical newspaper, and a book by Lenin) he suddenly decided that he should be a part of it, so he resolved to escape from exile. And so he escaped… leaving his wife and two babies behind. He never tried to get back together with Alexandra or the children, even after they left their exile in Siberia. It wasn’t like Alexandra was a bad wife or an unpleasant person, or anything like that. It wasn’t so long ago that Trotsky had implored her to marry him. 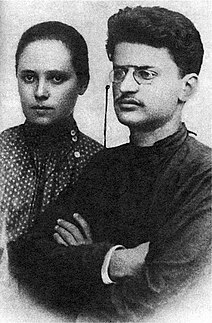 Trotsky and Aleksandra Sokolovskaya, his first wife. He soon found a new woman in Paris to comfort him. Trotsky’s parents and sister did most of the child-raising. Trotsky was always too busy writing his revolutionary articles and engaging in revolutionary activity to bother to have anything to do with them. But intellectuals all over the world thought that society should be run along the lines set out by a man who neglected his first two children, all because he had a whim that he was too important to be tied down with them. More evidence for my theory that the more someone extols virtue in general, the more of a c*nt they are in personal relationships. And vice versa, those who are excoriated for being morally deficient in general are more likely to be decent to the people around them. I’ve long thought that too. 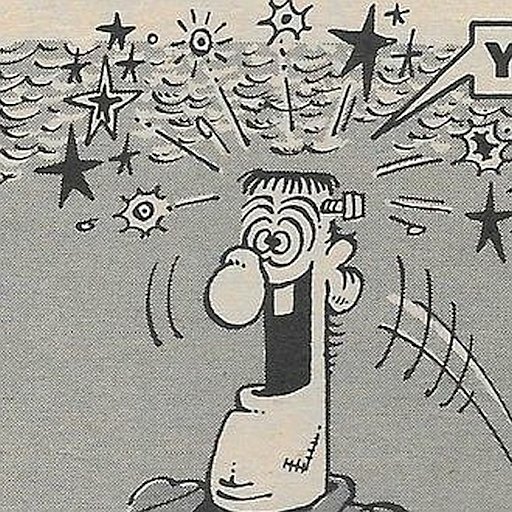 So he ended up with an ice axe stuck in his head. Karma. Pity Stalin never got a bit more karma of his own.